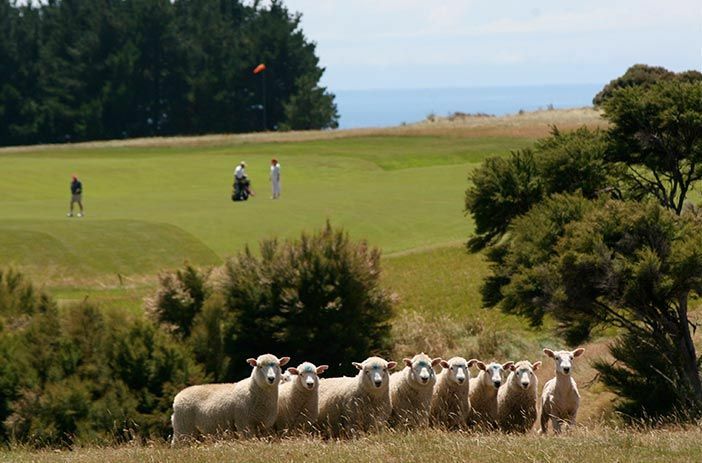 This is one of New Zealands newest courses, built on a 5000 acre sheep farm just outside of Napier on the eastern coast of the North Island. A world-famous Gannet colony is part of this course. 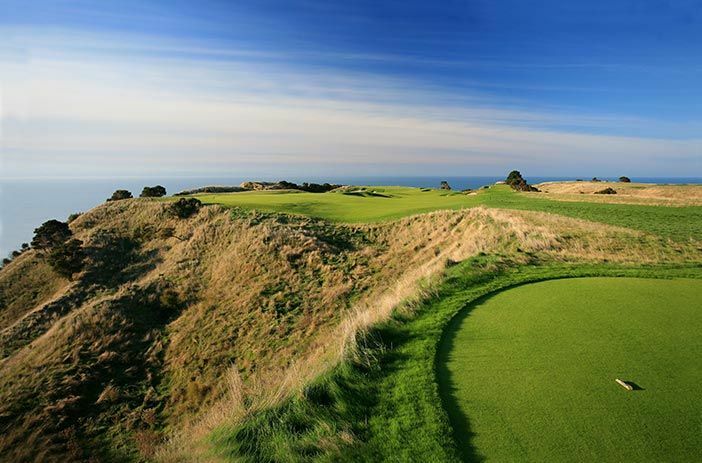 Cape Kidnappers feels like an old-style Scottish course and was designed to blend in with the rolling coastal farmland. It is not true links terrain; instead, the land tilts toward the sea as a series of ridges which jut out toward the edge of the cliffs. The play is seaside golf at its finest. You will hit heroic shots over the top of tea trees and play cautiously along the edges of deep ravines. Every hole has a view of the Hawkes Bay, and at the sixth and fifteenth it is possible to pull your approach off the very end of the earth, though it will take nearly 10 seconds of hang time for your ball to reach the ocean, 500 feet below. 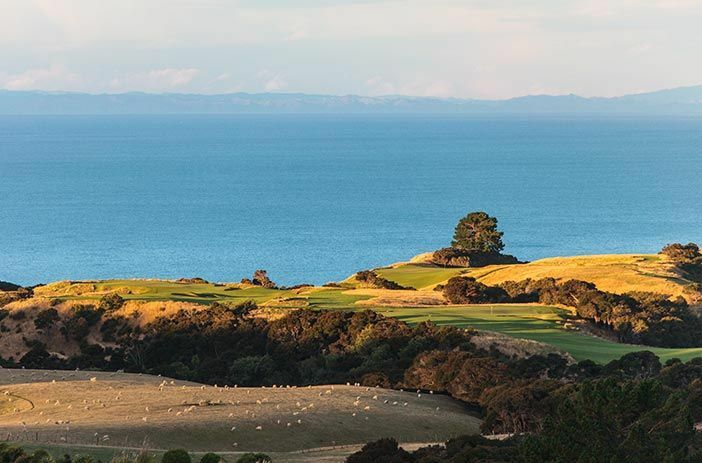 The course itself is the namesake of the famed Cape Kidnappers Peninsula names by Captain James Cook during his voyage to Australia and New Zealand in 1769. Air New Zealand operates at least 8 scheduled flights daily from Auckland (55 minutes) or Wellington (50 minutes) to Napier (Hawkes Bay) airport. The aircrafts are either 66-seat ATR Aerospatiale twin turbo-prop or 33-seat twin turbo-prop Saab 340s. Charter jets and propeller planes can also be organized. Cape Kidnappers will meet your flight upon request. 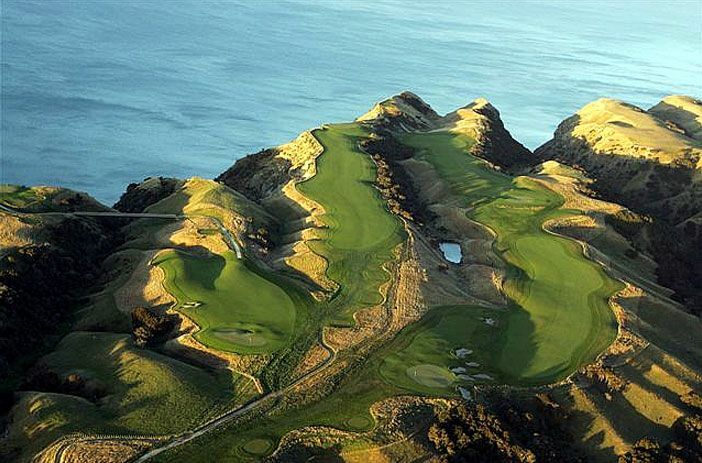 Cape Kidnappers Golf is not yet in our pool of Golf Courses for orders.